Ariana Grande broadens her horizons on 'Sweetener'... to mixed results. 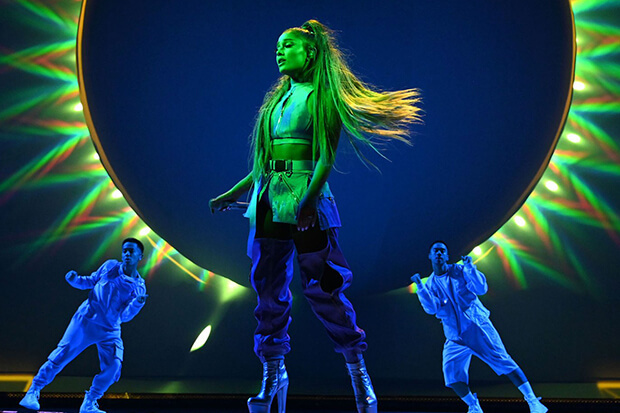 While the setlist is largely devoted to her 2018/2019 albums, most of Ariana’s big hits were covered including “Side To Side,” “Love Me Harder,” “One Last Time,” “Into You,” “Dangerous Woman” and “Break Free.” As expected, the 25-year-old closed the show with “No Tears Left To Cry” and “Thank U, Next.” It will be interesting to see if she condenses the setlist somewhat as the tour hits the road. In the meantime, check out the full opening night setlist below. Are you attending the tour? Let us know below, or by hitting us up on Facebook and Twitter!